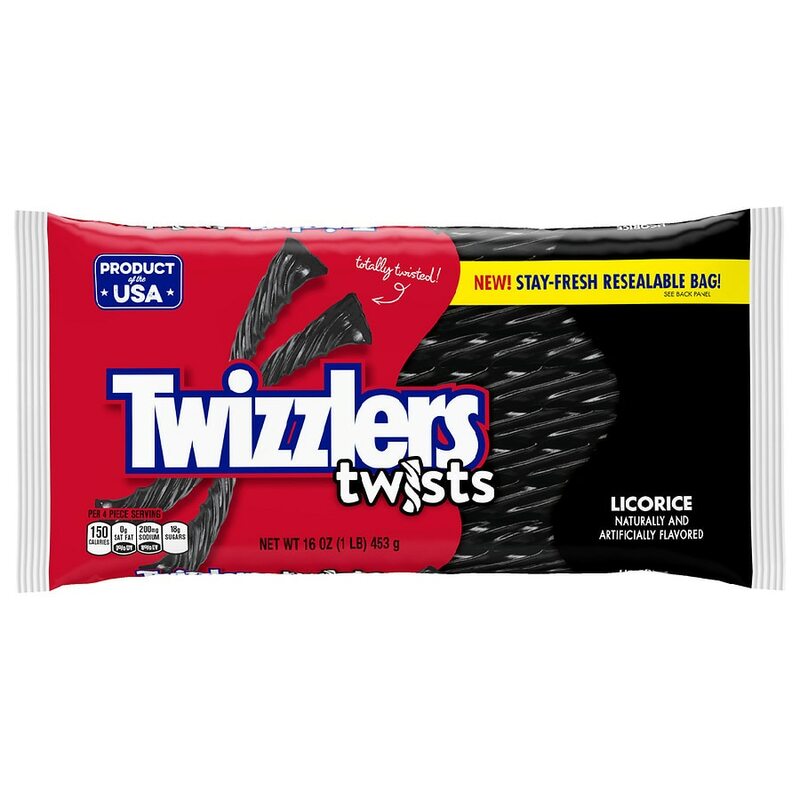 For a twist on the timeless taste of black licorice, reach for TWIZZLERS Licorice Flavored Twists! This crowd-pleasing licorice candy is the perfect way to sweetly spice up every day snacking and movie night. You can even use the twists to create edible crafts, or tuck a bag into gift baskets for the licorice fans in your life. These sweetly spicy twists are just right for movie night, road trips, and taking on the go. Classic black licorice flavor. Licorice twists are unwrapped and ready to enjoy. A kosher and low fat snack.